Horse hair, glass, metal screws, handmade paper, a cotton t-shirt—these are just some of the materials that compose the nearly three hundred artists’ books housed in the Corcoran Artists’ Books Collection at GW Libraries. Conceived by renowned artists such as Ed Ruscha or by up-and-coming artists from the Corcoran’s MA Art and the Book program, these art objects stretch the boundaries of what ‘book’ can mean: Alice Austin’s Milk, Butter, Eggs (2004) resembles a codex, but when opened reveals its accordion folds with illustrations of domestic scenes; Beth Thielen’s The Tower (2007) appears largely sculptural until small booklets unfold from its architectural, watch-tower-like form. Thielen’s work, made in collaboration with women prisoners from San Quentin State Prison and the California Rehabilitation Centers, embodies the collection’s thematic focus of social justice and consciousness. Along with this focus on social issues, the collection’s primary purpose is as a teaching collection for book arts students. 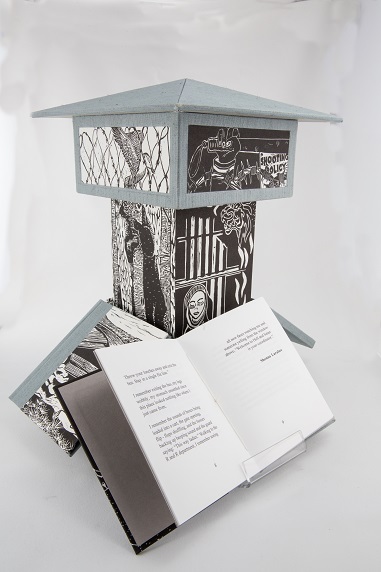 Each year the Artists’ Books Committee (made up of Art and the Book professors and students, and a librarian) identifies particular social justice issues, like LGBTQ rights or xenophobia, on which to concentrate for new purchases. The committee also selects formal aspects (e.g. flag books or box housings) which will support student work. In addition, the collection contains collaborative works by Art and the Book graduate students such as +/- One Percent (2010), and most recently, An Exquisite Future (2014); these works are published by Corcoran’s in-house publisher, Marginalia Press. The Corcoran Artists’ Books Collection was slowly amassed over the past several decades by the Corcoran Library at the former Corcoran College of Art + Design—now the Corcoran School of the Arts and Design within The George Washington University. With the acquisition of the Corcoran Library by GW Libraries in 2014, this unique collection was transferred to its new home in GW’s Special Collections Research Center where individual students and class groups can view selected books upon request. 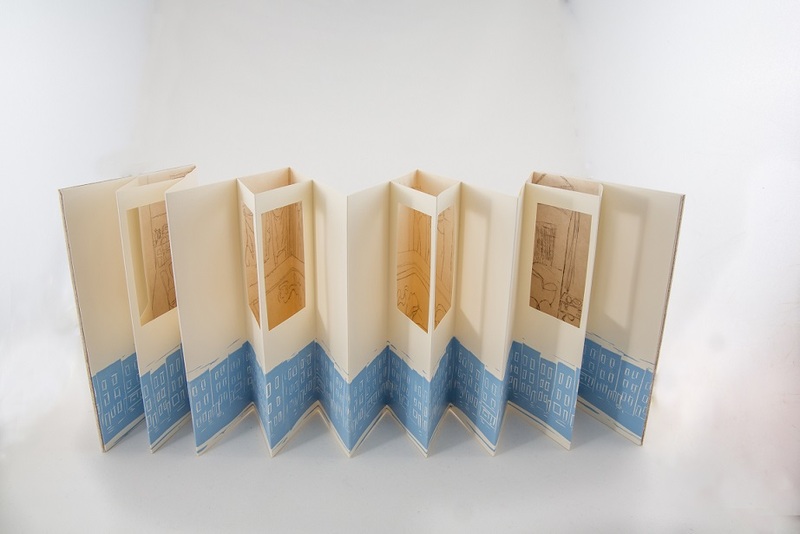 Right now through March 20th, you can view a selection of nineteen artists’ books from the Corcoran collection at GW’s Luther W. Brady Gallery. The exhibit entitled “Paper Window” presents a wide range of artist book categories, including photobooks, pop-ups, mixed media books, and altered books. The exhibit also features customized book housings and book-making tools on loan from the Art and the Book graduate program. Visit often as paged books will periodically have new spreads on display. Located on the second floor of GW’s Media and Public Affairs Building (805 21st Street, NW), the Brady Gallery is free and open to the public.